A car is one of the biggest expenses you will make in your life. Aside from the initial purchase, which can be incredibly steep, you will also have to endure the expenses after buying – fuel, insurance, tax, maintenance… you know the drill. So, if you’re thinking about buying a car in the near future, here are some tips that will save you money at the outset. Remember to budget. Bearing in mind the cost of the car, and the ongoing expenses, it’s important you take stock of your finances. To avoid money pitfalls, know how much you have to spend and then let your head rule your heart. If you can’t afford certain types of cars after budgeting, only go to those showrooms or dealerships within your price range. This way, you won’t make any costly and impulsive mistakes. Shop around. Don’t go for the first car you see, no matter how much you like it. You may find a better deal on the same brand and model elsewhere. Use price comparison sites, visit other dealerships, scan the classifieds, and look at car buying websites online. The car you looked at in one place may be just around the corner for a cheaper price. Be careful with a part-exchange. If you have an old motor to trade in, you are going to reduce some of the expense when buying a car. However, ensure you get what our car is worth. Value it online by looking at similar models or use a car valuation tool. This way, you are less likely to get ripped off by the salesman when negotiating a deal. Add value to your old car. To get more bang for your buck, get to work on your old motor before selling or part-exchanging it. The more money you can make from it, the less damage to your bank account when buying another car. There are a number of ways to add to the resale value, from fixing minor repairs to giving it a wax and a polish, so get everything in order before getting a deal. Consider taking out a loan. 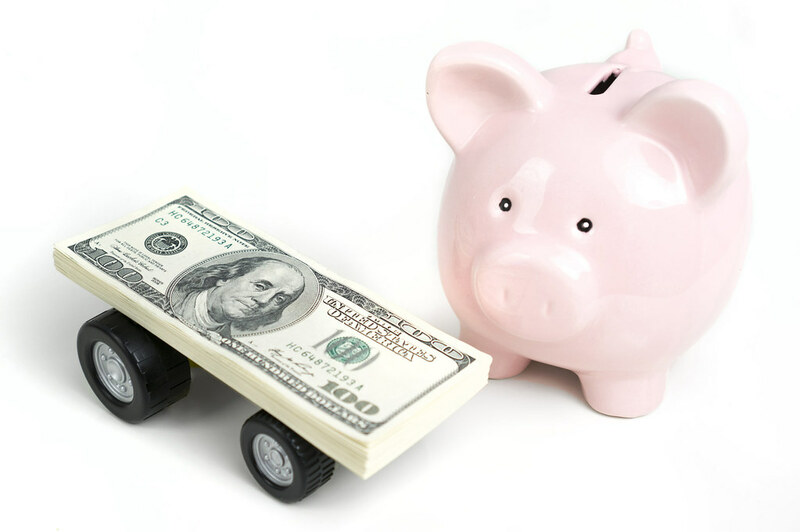 Not many of us car can buy a car outright, so getting a loan could be your best bet. Again, shop around, and compare interest rates at https://auto.loan/. Your credit score can affect the loan you are offered too, so it’s worth finding ways to improve your score, such as paying off outstanding debts, before applying for a loan. Be prepared to negotiate. Don’t assume you have to pay the price the car is marked at. It’s always worth haggling with the dealer, so use this expert advice to give you a head start. And if you aren’t confident haggling yourself, bring along somebody else who is, especially if they have had practice dealing with car salesmen in the past. Ask yourself if you need a car. Our final tip is this. Do you actually need a car? If not, you are going to save yourself oodles of cash to begin with. If you only drive occasionally, consider hiring a car from time to time instead. Alternatively, public transport may be a cheaper option for you if owning a car doesn’t have to be a priority. Something to think about anyway! I hope this advice was helpful to you, but if you have any money-saving tips yourself when buying a car, be sure to let us know!